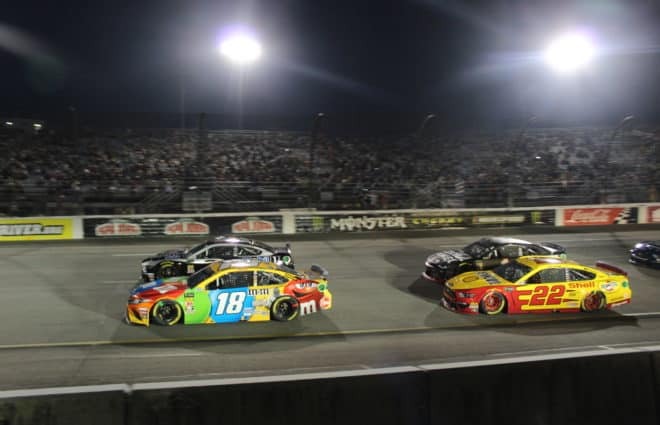 All eyes are on Sin City this weekend as NASCAR debuts the full version of the 2019 intermediate rules package (aero ducts weren’t in use at Atlanta) at Las Vegas Motor Speedway. NASCAR has a lot riding on the next couple of seasons as it moves toward the end of the current television deal. If ratings don’t at least stabilize, the next deal won’t be nearly as lucrative, and that affects everyone. In the long run, though, is changing the cars the answer? If you look at the big picture, it becomes apparent quickly that it is, at most, a stopgap. Whether or not this set of changes makes a difference, NASCAR is going to have to address more than just the racecars. 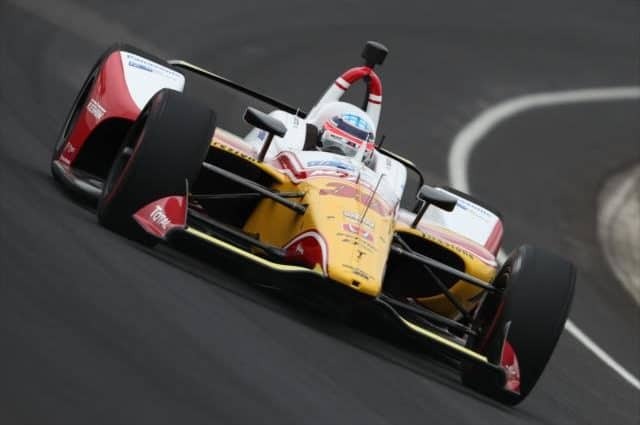 Chances are it won’t make the kind of difference the sanctioning body hopes because reducing corner speed is an important part of making passing more frequent, and this will keep them from having to lift on entrance. Really, though, cars being hard to pass is nothing new. Back through the years, races have come down to one or two cars on the lead lap, and margins of victory varied as much, if not more than they do now. Every race didn’t end with drama, though many would like to remember it differently. But what was different was the slate of racetracks on the schedule. Pick a year and that’s apparent. Let’s take a look at the 1984 season here, roughly in the middle of NASCAR’s history. First of all, there were 30 races. That’s plenty. The adages that less is more and absence makes the heart grow fonder? Those are rooted in truth. Sometimes people want what they can’t have, and the NASCAR season is very long. It’s not just the length of the season though, and cutting back to 30 plus a revamped All-Star race sounds about right. Take a look at the tracks, and the real issue facing NASCAR today becomes crystal clear. Daytona (two races); 2.5-mile superspeedway: Daytona hosted a pair of races in 1984, the Daytona 500 and the early July race they still host. Both races were run during the daytime, though, which naturally produces better racing as handling is a much bigger issue. They also didn’t run with restrictor plates, though speeds were nearing numbers that would make them a necessity a few years later. Superspeedway races were very different than today. Richmond (two races): Richmond hosted the second race of the year – February weather makes you wonder how pleasant that was – and early September. The track was then a 0.542-mile oval. Rockingham (two races): The one-mile medium-banked oval hosted races in March and October. 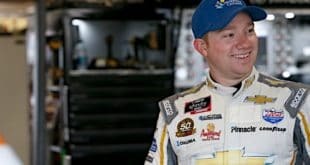 It was removed from the schedule after the 2004 season and an attempted revival was not well enough attended by fans for the track or NASCAR to consider a Cup return. Atlanta (two races): Then a true oval, Atlanta hosted races in March and November (it later became the final race of the year). It was reconfigured to the current 1.5-mile setup in the mid-1990s. Bristol (two races): The .533-mile oval was paved in asphalt instead of the current concrete. It hosted races in April and August of 1984, much the same dates as it has today. At a reported 36 degrees (which was later disputed), it was the highest-banked track in NASCAR. The banking is now a variable 24-26 degrees and the racing is different these days. North Wilkesboro (two races): North Wilkes, as it was often referred to, hosted races in April and October in the North Carolina foothills. The .625-mile flat oval was different from Richmond, Bristol and Martinsville. It had more sweeping turns and shorter straightaways than Martinsville. The track still sits next to highway 421 but is no longer raceable. Darlington (two races): The Lady in Black was as mean as ever, and if anything, the surface was harder on tires than it is today. The original intermediate track, the 1.33-mile egg-shaped oval requires a high line to get around fast and is a strategy track. 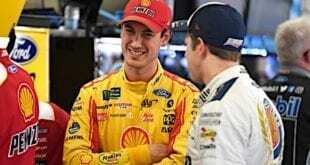 Fuel mileage and tire mileage don’t match now and certainly didn’t back then, forcing teams to make difficult choices. 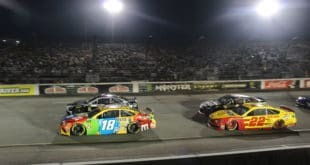 The Southern 500 was run during the heat of the day on a slick track in the dog days of summer but is run at night now. Martinsville (two races): Martinsville might be NASCAR’s least-changed track (though the corners are now concrete) and the racing the least changed over the years as well. It’s as possible to get a classic finish now as it was in ’84 or any year before or since. That’s notable as few other tracks can boast that. 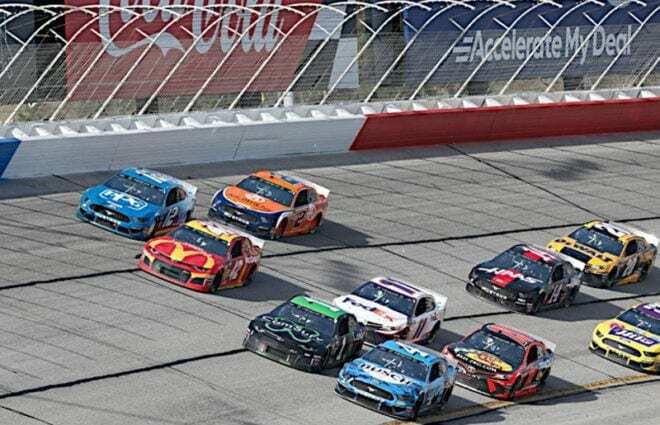 Talladega (two races): run in May and under a hot Alabama sun in July, Talladega was in its last years before the restrictor plate would change the racing dramatically. Nashville (two races): This was Nashville Fairgrounds Speedway, and it hosted its last Winston Cup races in ’84. A 0.596-mile medium-banked oval, the track has hosted late model races consistently and there has been recent talk of hosting Xfinity and/or Truck races again. Given the market, that could prove more successful than Rockingham’s attempt but would put the tracks’ future in the hands of fans. Dover (two races): Dover, a one-mile oval, was paved in asphalt in 1984, and it’s two 500-mile races (May and September) were tests of endurance as much as speed as they were marathon events. It’s still a tough track to navigate today, though the concrete surface is less heat-sensitive and the races have been shortened to 400 miles. Charlotte (two races): NASCAR’s home track was the first track to feature a configuration like so many others have followed. The 1.5-mile quad-oval was unique at the time, and the Coca-Cola 600 was another intense test of drivers, run in the summer heat during the day. Like most other tracks, those hot, slick conditions made for better racing than the night race today’s fans are accustomed to. Races in ’84 were run in May and October. Riverside (two races): This 3.33-mile, nine-turn road course held the spot on the schedule now occupied by Sonoma as well as the season finale, so that the final championship determination came on a road course. The track was razed in 2003 and a shopping center now sits on the site. Michigan (two races): The two-mile oval held its events in June and Aug. 1984. It was then a unique configuration for the Cup Series as Auto Club Speedway wasn’t added to the schedule until 1997. Looking at that, it’s apparent that the “good old days” weren’t made that way by just the cars or just the drivers, but also by the racetracks. There were no two tracks with the exact same length or configuration and there were several more tracks of a mile or less, though the schedule still boasted several bigger tracks as well. Contrast that schedule with today’s, which has three tracks under a mile, three at just about a mile, and no fewer than seven 1.5-mile tri- or quad-ovals with varying degrees of banking but few other differences. Would NASCAR need to keep changing the cars if they changed the tracks they race on instead? The problem lies in that the schedule is no longer easily fixable. The vast majority of tracks are owned by two entities, at least one of which has shown that it will use lawsuits to keep it that way. Track owners can move dates from tack to track, but that’s about it. It’ll take some wheeling and dealing to make major changes, even though it’s pretty undeniable that they should be changed. 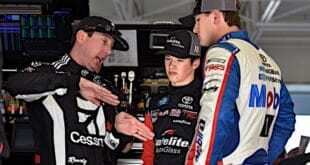 Next 4 Burning Questions: What Did Kyle Larson Just Say? It is the change in cars that has made the racing bad. I went to 30 straight Pocono races. I started going in 1981. The track is still a 2.5 mile triangle. Just check out the lead change stats from 1974 to the present and you will see as the cars got more dependent on aero the number of leads changes went down. Just look at the shape of the cars? The trucks are turning into twisted sister cars. Interesting to read of 1980s Pocono and Michigan (to some, the 1980s may not seem that long ago, until they do the math). Your comments supports my wish that Nascar used vehicles with the aerodynamics of a brick or a 1948 Hudson (unfortunately, trying to engineer such from the current design is apparently akin to putting toothpaste back into the tube). A rule change I would like to see is Nascar forbidding cars to run under air hoses (maybe Nascar made the change, but I missed it, along with several other things I have missed since Jayski closed); a related rule change might be mandating teams first change tires nearest pit wall, and then change tires on the side nearest pit wall. At last year’s cup Watkins Glen race (where pit stalls have a mirror image arrangement compared to pit stalls on ovals), several cars drove under air hoses while exiting their pits. There also seemed to be potentially preventable pit road incidents, some of which might be related to changing left side tires last. I saw at least three situations that seemed unnecessarily dangerous. A car leaving a pit nearly ran into a person in the adjacent pit holding an upraised air hose – the person with the hose was standing in a location not normally encountered by a driver. A car leaving its pit snagged one of its air hoses, and the air hose whipped around with the pit gun attached to the whipping end – I am sure if I watched enough kung-fu movies, an air hose with an attached air gun has probably been used as a weapon at least once. A car leaving its pit snagged one of its air hoses; the air gun tore off the snagged hose and flew into another car. The reason for driving under the hoses was teams continued to change right sides first and then left sides, the same order as used at ovals, though at WG, and maybe other road courses used by Nascar, the pit arrangement is the left side tires are nearest pit road, and the right sides are nearest the pit stall wall. At one time, teams at WG had to learn to reverse their normal procedure and change the left sides first, and then do the right sides; for safety reasons, teams should still do that. I am not sure I understand why Nascar would wait until there is an injury to change the rules. I would much rather see slower pit times than see a preventable and unnecessary injury. I am not sure I have ever seen cars drive under air hoses at ovals when right side only tires are changed, but I could have missed such. A reason for mentioning this now is if Nascar were to announce changes now, teams could arrange their training schedule accordingly. I do not know the pit road arrangement at Sonoma or the other road courses used by the Xfinity or the truck series; maybe I am wrong, but I assume more than one course has pit road/stalls arranged similar to WG. 2) I’d limit the number of cars the teams could build in a year. I’d say 4-5 tops. If my midweek scheduling works, you could theoretically run the same car at all 3 tracks if you didn’t wreck it. At the very least, you’d alternate the 2 cars you had on the trailer. 3) Make all Sunday races noon or 1 pm local time. Especially in the playoffs, you want those races starting at noon. You get an hour to yourself before football and theoretically people could switch over to catch the end of the races before crunch time of the 4th quarter. Starting the races later never made sense since 4:25 is a national TV window in football and the west coast local games start at 4pm. So any bump from west coast is probably negated. A person more knowledgeable than I indicated a reason several tracks lost races was lack of attendance at those tracks; the same person indicated, compared to attendance at the replaced tracks, more people attended races at the (then) new intermediate tracks. I do not know if what that person claimed about track attendance is true, but I would think attendance figures could be easily fact-checked (though, obviously, I am too lazy to do the research; Nascar only recently stopped releasing attendance figures, so figures from just a few years ago and earlier should still be available). Another factor not widely important in 1984, but is important to Nascar today, is TV ratings and the related number of TV viewers. 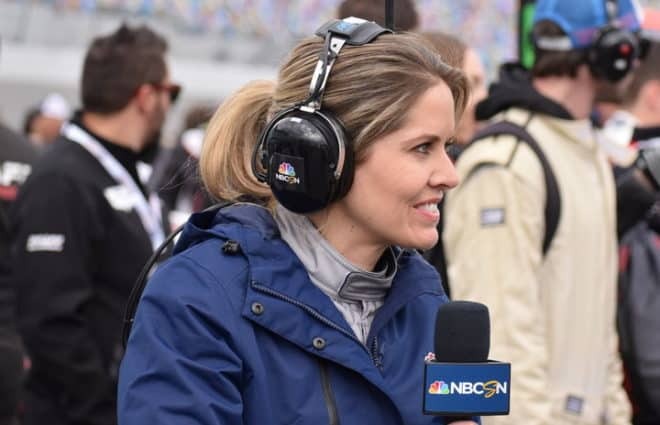 Entities receiving Nascar TV money, to include tracks, teams, and Nascar, have a keen interest in the number of eyeballs on TV/media; while tracks, as well as communities near tracks, have an interest in the money associated with butts in the seats. 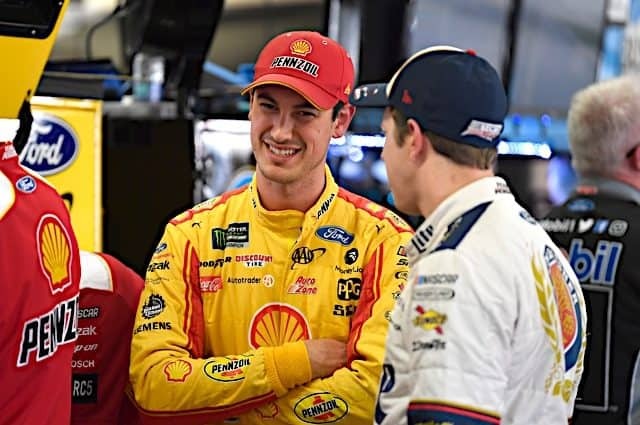 When deciding future actions, a legitimate problem facing Nascar is determining if opinions expressed in various surveys are enduring or evanescent. Amazing that it never occurred to the genius’ in Daytona that building almost identical track would produce almost identical racing. They were in such a hurry to build more tracks to make more money that they never considered the quality of the product it might produce. Now they have to live with those consequences.